Welcome to Super Hair World's blog! Here we will not only keep updates on the latest products and events but we will also give you guys 'Beauty 101', where we will post home remedies, how to's, and product reviews! No, not like that you weirdos! Some people look at clothes and shoes, others look at butts or tattoos. I look at hair, constantly. Probably because our family owns beauty supply stores, but I look at new trends, styles, and cuts. Ladies, there is a big hair epidemic going on here! Dumping Perm on your scalp like there's no tomorrow, weaving recklessly, pulling buns and braids so tight that there's a medical term for it now (traction-alopecia). We do things to our hair that seem innocent enough that we don't think about the damage we are causing until chunks of hair in the shower or start noticing thinning or length shortening. As you read, I hope by the end of this post you have learned a thing or two about these silent killers that wreak havoc on our hair day in and day out. 1. Pulling hair too tight!! From ponytails, getting braids, or even putting it in that cute ballerina bun that's been popular, you're pulling your hair. Some of us tend to pull a little harder than others, I get it, you want that super sleek look. But think about the undue stress you are causing your hair; especially your edges. All that tugging, and pulling put lots of stress on your hair that it pulls out the hair follicle from the roots. 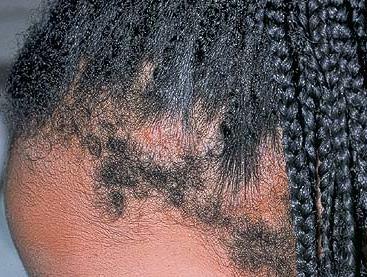 Now, don't think this is just a Black women's hair issue - this means ALL of us! 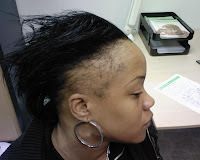 Any woman that tries to keep hair off their face or gets braids/weaves are at risk for bald spots, or no edges. If you must get super tight braids then please, for the love all that's sacred use a product that will Moisturize your edges like Ecostyler Gel. My final words of wisdom, don't EVER go to sleep with your hair tied or clipped back. If you guys haven't watched Chris Rocks documentary "Good Hair" (I highly recommend it) It shows you what perms/relaxers are made out of and what kind of damage it can do when using it in a daily basis. This creme solution creates a chemical reaction that softens the inner structure of the by breaking some of the cross links within the and between the protein chains of the hair..permanently. Any chemical with lye or not, would have to be pretty damn strong to bend genetics. This is what makes perms especially damaging to your hair: hair that is naturally curly is inherently weaker (because each bend in your strand of hair is a potential breaking point), and we protect these breaking points by making the natural hair as resilient as possible and essentially shielding the weak points. When you perm, you basically expose those weak points and make them weaker. Which equals to hair loss, not to mention that if you leave it on too long you will have no hair. Ok, I get it. You want that Rihanna's red, Nicki Minaj's blondie locks, or maybe you just want to put the whole damn color wheel. Do you know what price your hair is paying for your colorful locks? If your a natural blonde, then you're born lucky. But for those of us with darker colored hair, you have to go through many steps in order to lift that natural darkness off before you can retain that brighter hue. Again, we're playing with genetics here. Bleaching is TERRIBLE for any texture of hair. Going blonde is the most difficult color to achieve, and requires higher concentrations of ammonia which strips your hair...leaving it dry and brittle. If you must, please seek a professional. In my previous post, I told you guys that curling/flat irons can potentially lead to breakage to hair. Think about it, you're using a HOT thermal equipment to make straight/curly hair, 150-450 degrees...that's an oven on a stick. Please use a heat protectant spray each time you blow dry, straighten, or curl. Products like Oraginc Olive Oil Heat Protection Serum, or if you have more money to spend CHI Iron Guard Thermal Protection Spray (I got mine at T.J Maxx for $9.99) is recommended. It's obvious that I'm obsessed with deep conditioning. I can't stress enough how important it is to add this to your hair care regime. Everyday, we do things to our hair that damages it. 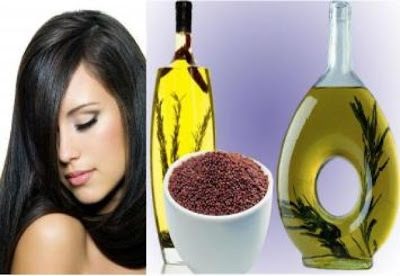 Your hair needs oils, and protein in order to be strong and thick. Conditioners are really your hair's first line of defense in terms of moisture and strength. I deep condition my hair at least once or twice a month...it's my way of saying "I'm sorry for all the crap I put you through". Creme of Nature is my go to deep conditioner, our store carries it for only $1.99. Believe it or not, my sister and I don't wash our hair everyday. We wash it once or twice every week..you're probably thinking "Ewww" but mark my words it's more like "Ooooh!". When you over wash your hair it takes out the natural oils in your scalp that it needs to nourish it. Shampoo has alcohol in it, don't be fooled if the bottle says "extra moisture" oh some oh la la marketing. Alcohol dries out your hair, the more you shampoo, the more dry and brittle. Hence you use deep conditioners to repair the damaged follicles. My sister (who's a licensed beautician stylist) recommends washing your hair 3 times a week, every other day. The list for breakage hair is endless, but these are the most important ones that we feel is the reason for hair loss. Hopefully from reading this post you would leave that box of perm, or bottle of dye on the shelf and get things that actually helps your hair, not destroy it. This is a very simple, yet effective! Based on the facts that hair grows the fastest with heat. My sister and I use this a couple times a week cause we're obsessed with long hair after cutting ours so short...I'm talking about Justin Bieber short. Anyways! Studies show that HEAT = BLOOD FLOW = HAIR GROWTH. The more heat you add to your scalp, the faster your hair grows. That's why our hair grows faster in the Summer than in Winter...MIND BLOWING?! Not enough science? This might be "T.M.I" but think where on your body does hair grow the fastest...that's right, your baby maker! Why? It's constantly covered which keeps it warm 24/7 so what did we learn? HEAT = BLOOD FLOW = HAIR GROWTH. Which is why this hair mask is perfect! Dry mustard powder warms up the scalp and causes a rush of blood flow to the hair follicles. Mix all ingredients together in a bowl, slowly adding the yolk last, you don't want the yolk to scramble due to the hot water. Separate your hair into halves, applying the mask on your scalp, try not to focus on the ends. Remember it's your scalp that does the hair growing. After applying the mask, cover your head with plastic cap and loop towel. Wait 10-30 minutes, there will be a slight or little to no discomfort, since mustard powder is a spice and we are trying to recreate heat. But if you're extremely sensitive and you feel to the point it's unbearable, stop the procedure. If you can endure it, it's best to leave the mask in for an hour but 15 minutes is a necessary minimum. When time is up, wash mask off with shampoo and then condition. Apply 1-2 times a week for one month, your hair will grow about 10cm. Varies per person. If consistent with regime, in a month you would've grown about 2.4-3 inches of hair! All thanks to good old mustard powder, who would've thought right? Enjoy and good luck! Ever wondered what the difference was between a White person's vs. a Black person's hair? Black hair has tiny nicks in the cuticle layer which makes it harder for natural scalp sebum to distribute to the ends of your hair.These nicks also cause breakage so handle your hair with care and keep it moisturized. 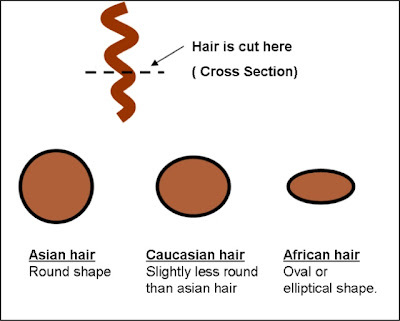 A huge misconception is that black hair is coarse, coarse means the "strand size" not the texture. Black hair is rarely coarse, black strands' are finer than any other group - which is why it can not take heavy handling. 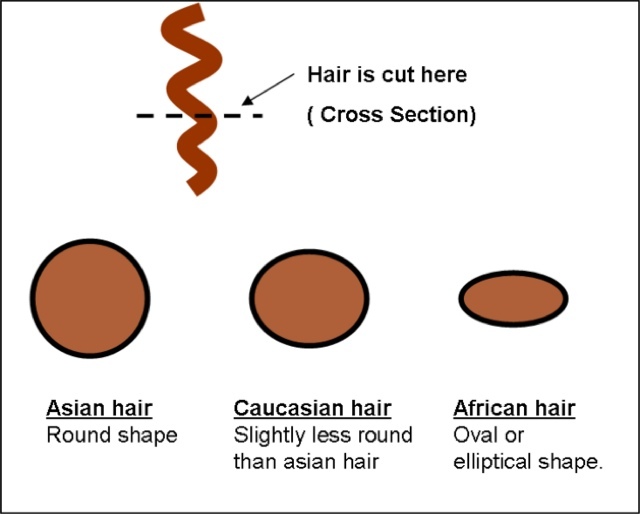 Versus a White person's hair which has less nicks, little bit more coarse than to an Asian person's hair which is extremely coarse. When buying a product always look for the most organic ingredients. Try avoid to avoid mineral oil and Petro oil, this certain oil will dry your hair out and stop moisture from penetrating the shaft. Natural oils like almond, coconut oil and jojoba oils are much better. The term "natural" is double talk and can have any given meaning for corporations. An orange soda can be natural because it has orange flavoring that once shared a compound of a fruit. High Frutose Corn Syrup is considered "natural" just like "Petro Oil." Try Crème of Nature line, or use a small amount of jojoba oil, grape seed oil, olive oil, straight out of the bottle. Grease is also a no go! NEVER use "grease" in your hair. Most black hair needs extra moisture, but stay away from products with petroleum. Petroleum makes hair stiff, dry and greasy. Instead of grease, try natural oils (coconut, jojoba, olive, or castor) or natural shampoos and conditioners which are great for your hair because they don't have all those sulfates, sodium’s, and preservatives in them. They also give your hair a nice shine to it. Grape seed oil is very light and can withstand high temperatures without burning which will help control heat damage if you use heat styling products on your locks. I can't stress enough on how important this step is in basic hair care. You want to condition your hair at LEAST twice a month. Why? 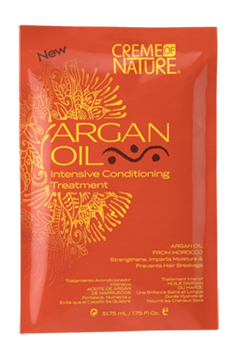 Because when you condition it restores the natural oils in your hair follicles that has been removed from shampooing, and chemical treatments. Not to mention it makes our hair smooth and shinny :) Aveda, Dr. Miracle, Organics are a couple of brands that make really good leave-in conditioners. Most people believe that breakage happens from the top of the head. Wrong, the main cause of breakage is split ends which are located at the ends of your hair. To reduce split ends you can always get monthly trims or if you're like me and absolutely REFUSE to cut your beloved locks then lock in those suckers with coconut oil or castor oil. Moisturizing is the key! And be sure to keep moisturizing to prevent future split ends. 1. Protects your hair from the burning hot iron! 2. Your hair will not break or "melt" as easily. This means blow drying too! So, before any thermal styling, spray in a heat protectant to prevent any future damages. Use a wide tooth comb to comb your hair, stop buying bristle brushes or thin combs which will catch in your hair and snap it off. Go for low maintenance. People of color should never comb their hair everyday, your hair does not need to be combed everyday, just detangle with your fingers. Excessive combing will break your hair off. Throw away that myth that black hair can not grow. The reason why black hair does not appear to grow is because the ends are breaking off from to much handling. If your hair didn't grow, you wouldn't need to head to the hair dresser every 4-6 weeks! Less is more! Here we will share our honest reviews with products and give tutorials on how to's and DIY remedies! We will also post special deals, new products, and upcoming events! Connect with us on Facebook on our ''Like" page and receive 20% on your purchase!